Successful registration for the commercial sale of two potato varieties, Rosagold and Markies, in Vietnam was officially ratified on 17 January. The process for registration took three years to complete and included a number of trials in different growing regions across the country. 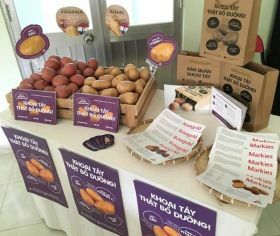 Commercial introduction of these two new varieties will help Vietnamese potato farmers to increase their income with a high quality and high yielding product. 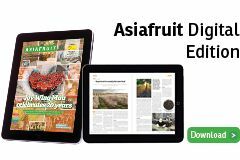 The project is a public-private partnership, undertaken by the Sustainable Entrepreneurship and Food Security Facility programme between the Netherlands ministry of foreign affairs, Fresh Studio, Agrico, PepsiCo Vietnam and Wageningen University which funds projects in the field of food security and private sector development in developing countries. Both varieties of potato will be sold under the Gia Dinh Ha Lan brand which is focused on promoting health, sustainability and equality through the supply chain. Gia Dinh Ha Lan potatoes are stocked at Big C, Aeon, MM Mega Market and VinMart retailers across Vietnam.